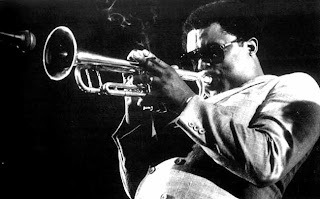 Hip Hop and Breakz: Freddie Hubbard R.I.P. Once again its is with sadness that I tell you of the passing of another legend. Freddie Hubbard has died. Freddie Hubbard played trumpet with legends such as John Coltrane, Ornette Coleman, McCoy Tyner, Art Blakey and Herbie Hancock, died today (Dec. 29) in Sherman Oaks, Calif. Freddie had suffered a heart attack in November and was 70 years old when he passed away. May he rest in peace. Freddie was sampled by the following Hip Hop artists; Souls of Mischief, Blackalicious, Pete Rock & CL Smooth, Masta Ace, A Tribe Called Quest, Big Daddy Kane, Black Sheep, Murs, UMC and King T.